How many bones can you name? Lean the different bones of the body with a Skeleton Tutorial. Then test your skeletal system knowledge at ABCya! You can even watch a video about your bones at How the Body Works. 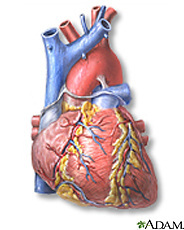 Explore the many muscles that make up the human body at How the Body Works. Then, take a short Muscle Quiz to see how much you remember. 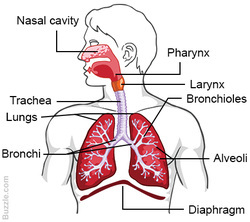 Breath in, breath out and find out what the respiration system is all about by watching this Lungs and Respiratory Video! Don't forget to check out the two videos below too! NIEHS has a great collection of optical illusions that seem to trick the senses. 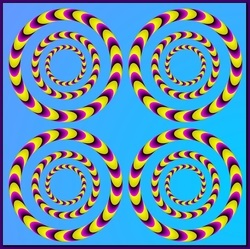 Check out these Illusions and learn how they work. All aboard! How many stops does your food make on its journey through the digestive system? Take a trip through the digestive system with various types of food at Digestive Journey, learn the technical names of the parts of the digestive system at Organs of Digestion, and play some digestive games at Digestion Tutorial. Healthy foods can help to make growing bodies strong! 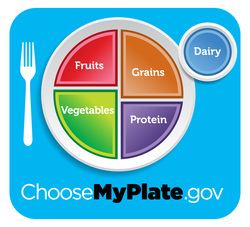 Check out which kinds of foods combine to make a ballanced diet at Food Groups and play the Blast Off game to see how good you are at choosing foods that make a ballanced diet.